The “phpro” magazine, specialized in process technology for the pharma industry, had invited several experts from the industry as well as suppliers and service partners to discuss the hot topic of Maintenance 4.0. How does digitization influence maintenance within the pharmaceutical industry? And which expectations do pharma companies have towards suppliers and service partners? Nils Blechschmidt, Managing Partner at ConMoto, seized the opportunity to speak about these and other interesting issues within the scope of a round table talk as well. Step stones regarding the increase in system availability like digitization, communication, documentation, complexity and outsourcing where topics the expert panel reviewed, analyzed and assessed. 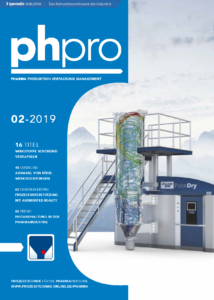 The article titled “Instandhaltung in der Pharmaindustrie – Experten im Gespräch” (in German only) was published in issue 02-2019 of the magazine phpro and is available as an excerpt for download here.